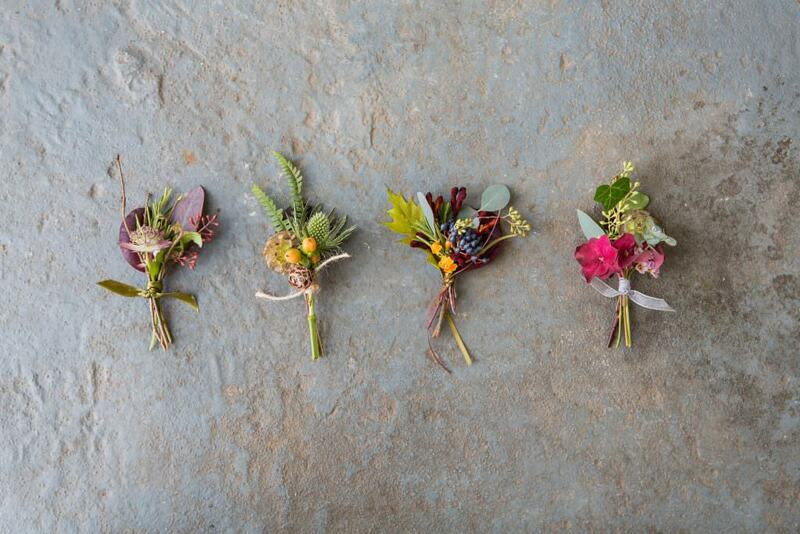 With British Flowers Week fast approaching, we wanted to share a little blog about one of our favourite florists. A telephone conversation earlier this month, with the sensational Joanna Cairns (Creative Director – Twisted Willow) inspired me to ask some questions that you might like to know the answers to. The art of floristry is truly fascinating and the incredible amount of effort that goes in to creating outstanding displays is underrated by many. We regularly work with Twisted Willow on events and often use them for our Ambassadors’ dinners at The Mansion; Joanna and the team never fail to disappoint with their innovative floral displays and forward thinking. Clients now, more than ever, want to know where suppliers source their produce, or in this case… flowers; Joanna has kindly offered to share her expertise, by opening a little window into her world of studio floristry. So here are some interesting facts about the market place and some insights into how the lovely Joanna runs her very successful florist studio. Which country imports the most flowers into the UK? Holland is still the world’s largest trading centre for flowers and therefore delivers the most flowers to the UK. Many flowers are still grown in Holland but times are changing and the volume of imported flowers from Africa and South America is increasing. These get shipped to Holland who then distribute the flowers worldwide. We generally receive 2 or 3 deliveries from Holland and one from a British grower each week during the summer wedding season when we are at our busiest. What are the most popular flowers sourced from abroad? What’s the ‘go to’ bloom at the moment? Roses are still the clear winner here, particularly in wedding work. Hydrangea are very popular too and add drama and a good block of colour to designs but roses are still so strong, particularly the garden style varieties. Brides always love the multi-petalled effect of a garden rose and their fragrant scent. Growers are following this trend and we see more stunning garden rose and spray rose varieties coming to market each year which is fabulous news as a wedding florist. Is there a time of year when more flowers are grown in the UK? There is currently a very strong movement to use British Grown Flowers. This is fabulous news for the British flower industry and the number of small growers across the UK is increasing dramatically as this trend gathers pace. Our clients are loving the effects that can be created by using home-grown flowers that look very natural and have movement and variety within each bunch. The Dutch flower system is set up to supply perfect stems that all match so I feel the UK market has something very unique to offer. My family have a large cut flower garden near York that we use on a regular basis throughout the summer. One of our freelance florists, Sarah, has just started her own cut flower business and has received her first two wedding flower orders for this season already so these are exciting times. The UK season is fairly weather dependent unless you have a poly tunnel or glasshouse available to extend the growing season. More UK flowers will therefore be bought during the late Spring, summer and autumn months and less in winter. What is the lead time for flowers from order to receiving them in the studio? We generally order our flowers with our wholesaler 1 week in advance of an event. The flowers then arrive at our studio around 3 days before the date of the event which allows time for the flowers to recover from their journey, have a good drink in our flower cooler and for us to order more if any are not correct. For a Saturday wedding we would generally receive an order on a Wednesday morning which means the flowers will have been cut on the Monday or Tuesday in Holland. They are purchased by our wholesaler at the Dutch auctions on the Tuesday morning and are packed onto a refrigerated flower wagon over to us via the ferry by 11am that day. The system is incredibly efficient and I would encourage anyone visiting Holland to get up early and visit the auction to see it all taking place – it is well worth the 5am start! We do build in time for flowers to open fully so peonies and gladioli etc are ordered earlier so that they have more time in our studio to bloom. British grown flowers are ordered at the start of the week and then cut and collected on the Wednesday or Thursday before the weekend event. Many British blooms are ‘soft’ and can wilt easily so last better if cut closer to the event. Having said all of this, the flower market can react extremely quickly in a tight spot. If you asked me for flowers for tomorrow, I could receive a fresh next day delivery from many Dutch and UK suppliers. It just adds to the stress though so we like to avoid this where possible…. British Grown flowers are simply transported in buckets of water and can be delivered to our studio or we arrange collect from the flower farm depending on who we buy from. If we collect we can then add to our order if anything is looking really lovely and will just add something special to our work – all florists will have a weakness for ordering too many flowers, just because we love them so! Dutch flowers can be transported in several ways and it all depends on the flower or foliage variety and who we are buying from. It is ideal for flowers to be delivered from Holland in water but this takes up a lot of space adding to transport costs. Most flowers last well out of water for a short space of time if refrigerated so many are delivered simply wrapped in paper, out of water, packed in cardboard boxes or crates. We then ‘cut and clean’ everything upon their arrival at the studio. This involved us re-cutting the stems, giving the flowers a good drink of water in our flower cooler, letting them relax and come round. Some varieties such as hydrangea and orchids will need a water source so travel with so a water test tube or gel pack is added to each stem. What is the optimum temperature to keep flowers fresh? The majority of flowers are ideally stored at 7 or 8 degrees. Our flower cooler is kept at contacts 7 degrees and we can adjust this is the weather is very hot or too cold. Tropical flowers need to be kept warmer and no flower likes to be too cold! I have experienced frozen tulips and orchids and never want to experience this again!!! How would you research and choose a grower/supplier? It does take time to choose who you would like to buy from. We have been in business for 10 years this summer and I have tried many different suppliers and ways of buying over the years. It really is just a case of finding suppliers who understand what you want and can supply everything when you want it. We generally buy from The Flower Connection in Leeds, Heemskerk in Holland, our cut flowers from home and Sally at Pickers, both near York. Our suppliers all generally deliver direct to our studio so everything is here ready for us to work on when we come in each morning which does make life much easier. As you work with flowers, you build up a style and a list of varieties that you love working with and find last well. You may sometimes choose a specific grower because you like the shade of flower they produce with whatever combination of watering and feed they are using. However, the nature of the industry is that your favourite rose may be available one week and then maybe not the next, or it may be double the cost so you do always have to have other options available to you. What are your biggest challenges as a florist? Flower ordering is a huge skill. As a wedding and event florist working from a studio, we order specifically for each job and therefore need to get everything right 1st time and have minimal waste. We do not have a shop to sell excess flowers in or a general flower bank to select from if we are short of anything. However, it does mean that all flowers are very fresh for each job and that any leftovers do tend to get added into our designs free of charge which is a nice touch. Flowers may not be available or very costly the one week that you need them so that is always a challenge to solve. We try to avoid this by ordering early, receiving the flowers in good time and being aware of peak floral dates in the diary such as Mother’s day in Europe or Russia which always effects rose prices! I’ve been ordering flowers now for 10 years and know a great deal but am always still learning. What do you think makes Twisted Willow unique from other florists? We work hard to understand the clients vision and ask many questions about the overall effect they are trying to create for their wedding or event. We have lots of funny conversations in our studio as to whether something is ‘stylishly messy and yet still elegant’ as requested by our Bride for that week and whether we have achieved this when creating her floral designs. I believe that any good supplier should take your ideas and move them onto another level, all of which we aim to do here at Twisted Willow Floristry. We like creating designs that people will talk about on the day and that are on trend and classy. No stuffy old fashioned floristry here! We work from a lovely studio in Ripon which we are expanding later this summer to add a showroom. By not having a shop, we really focus on keeping in touch with our Brides and answering their many questions as quickly as possible. It also allows us to hold relaxed consultations without interruptions and create mock-up table centre designs etc. as many people find it very hard to visualise the end result. Many of our clients are doctors, lawyers and teachers so their strengths lie elsewhere. Booking an event florist is also a small leap of faith. You can taste your event food and cake, try on smart clothes, listen to beautiful music but your fabulous flowers will generally not be created until the week of your event so it is doubly important to choose someone who fully understands the look you want and who you can stay in contact with throughout the whole process. With flower trends changing constantly, how do you plan in advance which flowers to source from abroad, colours and the amount of each type of flower? We are really guided by our clients and what they are asking us for. We listen to them regarding the style of vases and props they are wanting to use and will buy new items if we see a trend forming. This week we have purchased soft gold coloured 1m tall candelabra to work with our shorter gold candlesticks and nightlight holders so we can offer a lovely package for anyone wanting an antique or rose gold effect. We work closely with each client to discover their favourite flowers and colours and make suggestions as to what we know would work well. We also really listen to what they do not like and this is often more important and gives us a clearer idea of what to order for their day. We follow many other top florists on social media to beware of trends in London, the USA and Holland so we stay aware of what everyone is enjoying visually at the moment. Flowers are supplied in set bunch sizes, for example, roses are generally supplied in wraps of 20. We may need to order 274 roses for the wedding so we buy 280 and have a few spare in case there are any damages or a piece needs just a few extra heads adding. This is the skill of an event florist and one I spend a great deal of time on! A special thanks to Joanna for taking time out of her busy summer schedule, to share her passion and incredible knowledge of flowers with us.